The UK Northern Ireland secretary was in Brussels on Monday (6 November) ahead of a new round of Brexit talks and amid a continuing political deadlock in the province. James Brokenshire said he held "positive talks" with EU Brexit negotiator Michel Barnier and updated MEPs about the situation in Northern Ireland, but gave few new details about his government's proposals. 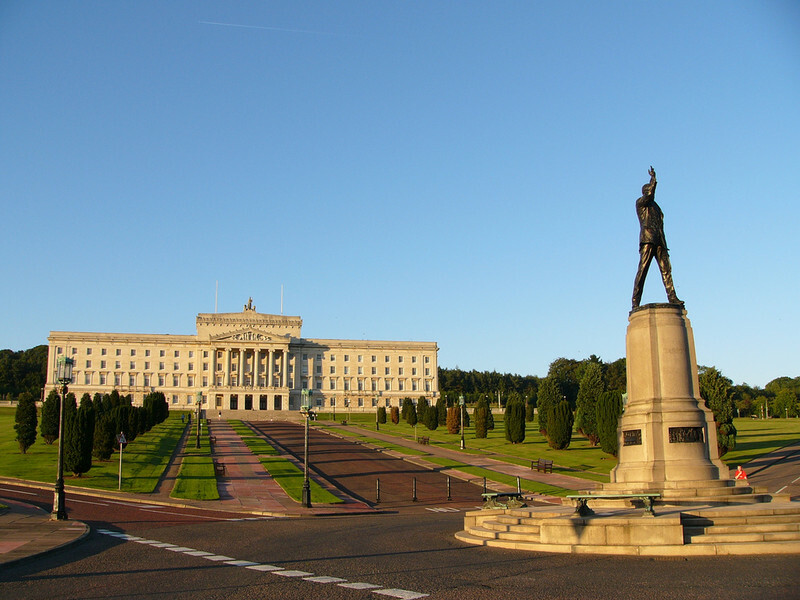 In Belfast, talks are going on between unionists and republicans to form a new shared government in the devolved assembly. The last one fell in January and negotiations started after elections in March. Last week, the UK government extended the deadline to reach an agreement. 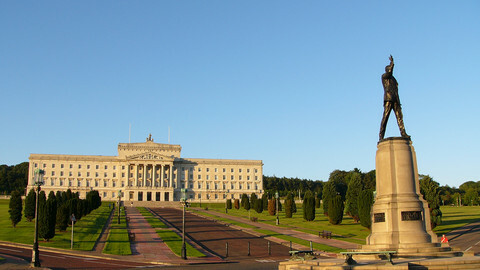 As well as the existing political gulf between the two largest parties - the protestant Democratic Unionist Party (DUP) and the catholic Irish nationalist Sinn Fein - there is the further complication of the DUP providing support to Theresa May's minority government in the Westminster parliament in London. At an event at the European Policy Centre in Brussels, Brokenshire warned that "we have now reached the point at which it is unlikely that an executive could be formed in time to pass a budget for Northern Ireland by the end of this month." He said that he was "left with no option but to legislate at Westminster" to pass a budget for the province for next year. "This would not be my budget … it would be one prepared by the Northern Ireland civil service on the basis of the previous executive's priorities," he insisted, adding that the UK government would act "with the greatest reluctance." The deadlock continues while the future of the border between Northern Ireland and the Republic of Ireland is one of the three main issues in the current Brexit talks. A new round of discussions will take place in Brussels this week in order to accelerate progress and allow negotiations on the future EU-UK relation to be opened in December. London published a position paper on the Irish issue in August, which the EU said was short on details. Brokenshire insisted on Monday that the paper still sets out "clearly and positively where we stand." He said that London wants to "ensure" that the Good Friday peace agreement "is fully protected"; to "preserve the Common Travel Area" and "ensure that we have as frictionless and seamless a border as possible … with no physical infrastructure." The Northern Ireland secretary pointed out that the region will leave the EU single market and customs union like the rest of the UK. 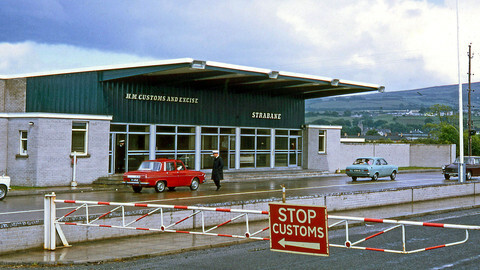 He noted that "Northern Ireland economy, while an integral part of the UK economy, is fully integrated with that of Ireland particularly in areas like the agri-food sector," and that his government wants to maintain cross-border circulation of goods and services between north and south of the island. 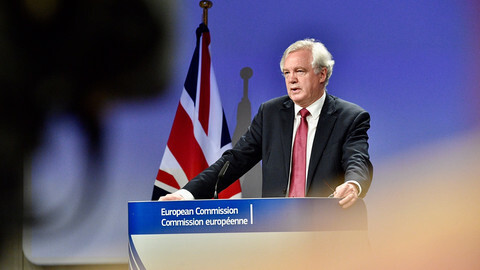 He repeated the UK propositions for a "new custom partnership" under which the UK would "seek to apply a tariff equivalent to the common [EU] external tariff" and for an "alignment" on EU regulations for sectors like agri-food. But he insisted on the need to "ensure that nothing is done that undermines the integrity of the UK single market." "Of course none of this was ever going to be easy. But I believe that with a positive attitude on all sides it is achievable," he said, repeating the British demand for "creative and imaginative thinking." 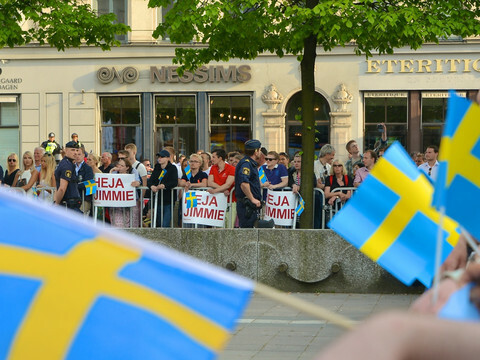 He added that there was "enormous international goodwill and support … including from the EU." So far, the EU has been waiting for more details about how London sees the consequences of Brexit for the island, and in particular it means to recognise that Northern Ireland has "unique circumstances." After his EPC speech, Brokenshire told a group of journalists that the purpose of his visit ahead of this week's talks was "about underlining some of the issues we now recognise." He said that the UK was ready to support cross-borders programmes like the EU-funded PEACE and 'interreg' (inter-regional) programmes. "We may be prepared to support that, moving forward, knowing the benefits that has delivered to a number of border communities north and south, and therefore being open-minded to what may be possible," he said. Asked whether the absence of a government in Northern Ireland made the work more difficult to prepare for Brexit, Brokenshire said that his government was working "very closely" with the Northern Ireland civil service, as well as business and the voluntary community sector. 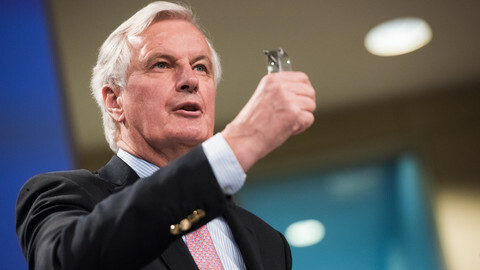 "I'd like to see an executive alongside making some points directly to Michel Barnier and others, but obviously that's not possible at this stage," he said. 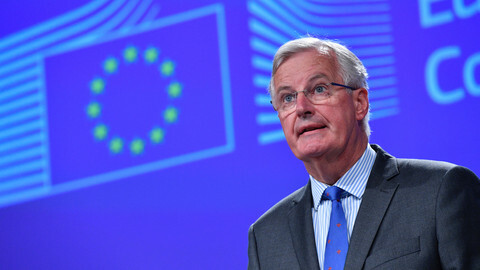 The UK cannot use relations with Ireland as a test case, warned Michel Barnier, as the EU published its own position on post-Brexit relations between Northern Ireland and the Republic of Ireland. 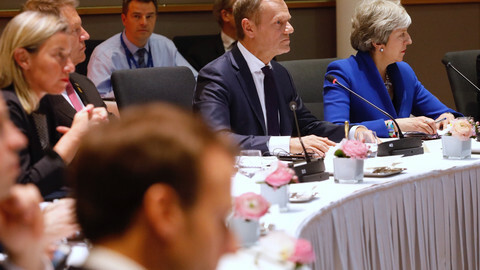 UK and EU officials will get together next Thursday to try to achieve "sufficient progress" by December on key issues for unlocking the next phase of negotiations. Theresa May and Leo Varadkar were in Belfast on Monday for talks with unionist and nationalist parties, 13 months after the last government fell.